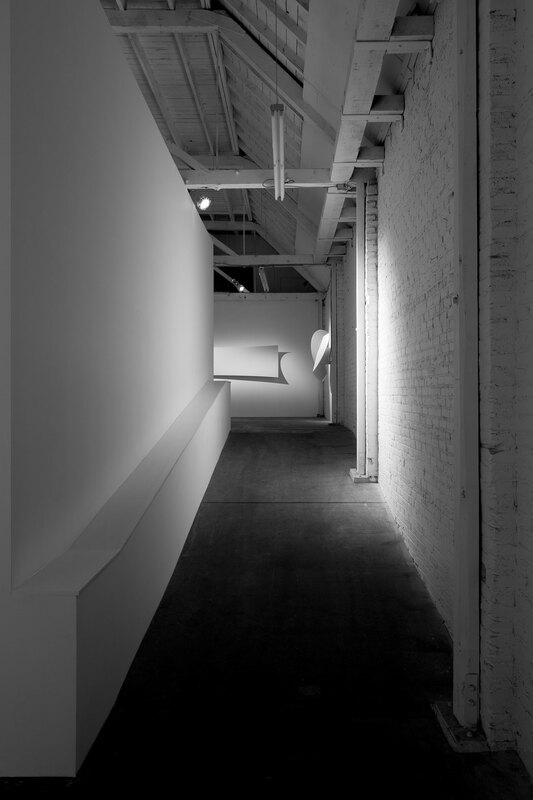 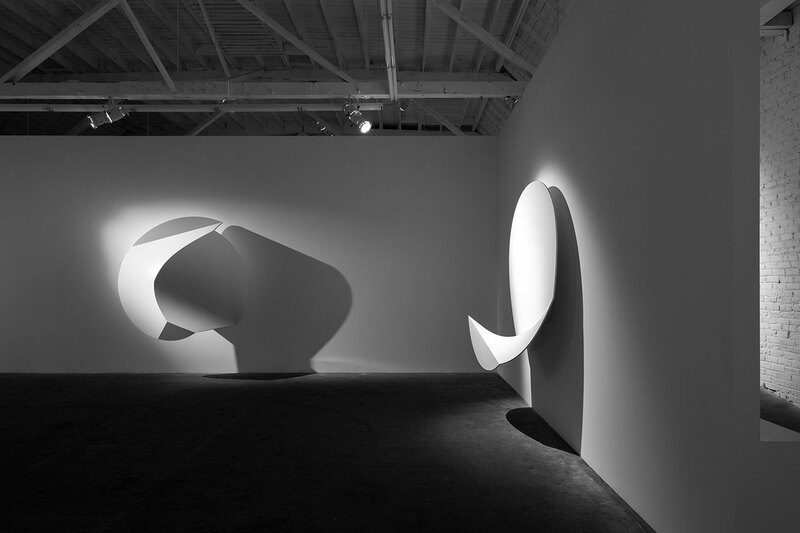 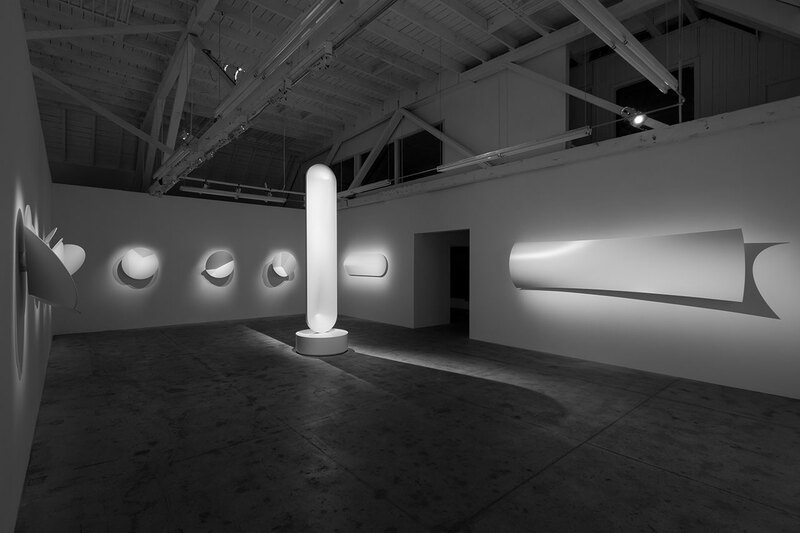 Capturing the perceptual corporeality of light and shadow may be acknowledged as a tall order but that’s exactly what American artist Phillip K. Smith III is successfully attempting in his new solo exhibition fittingly called “Light + Shadow Works” at the Royale Projects gallery in Los Angeles. 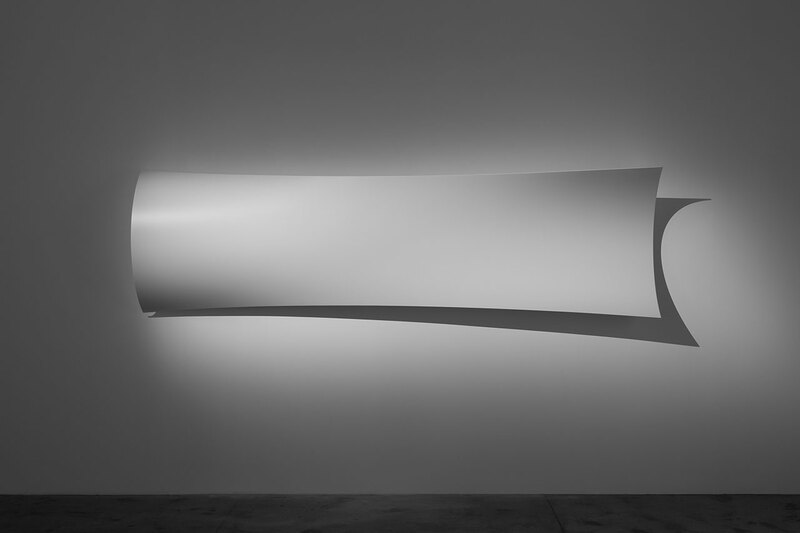 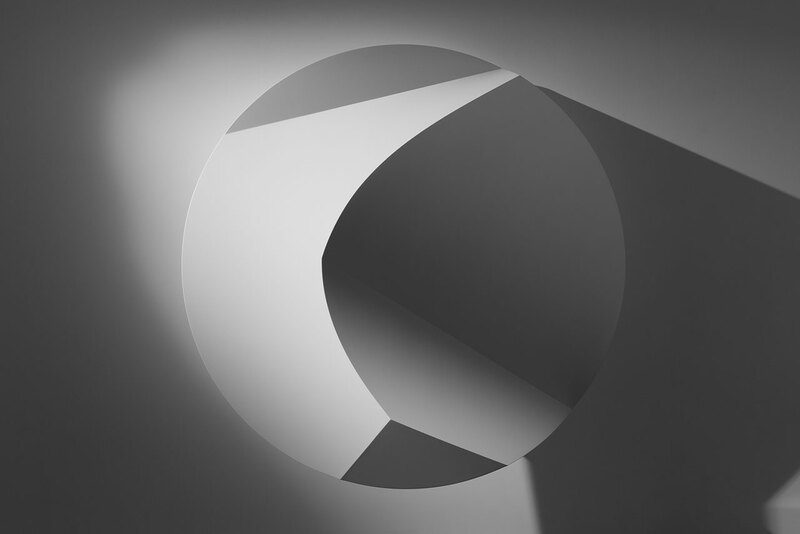 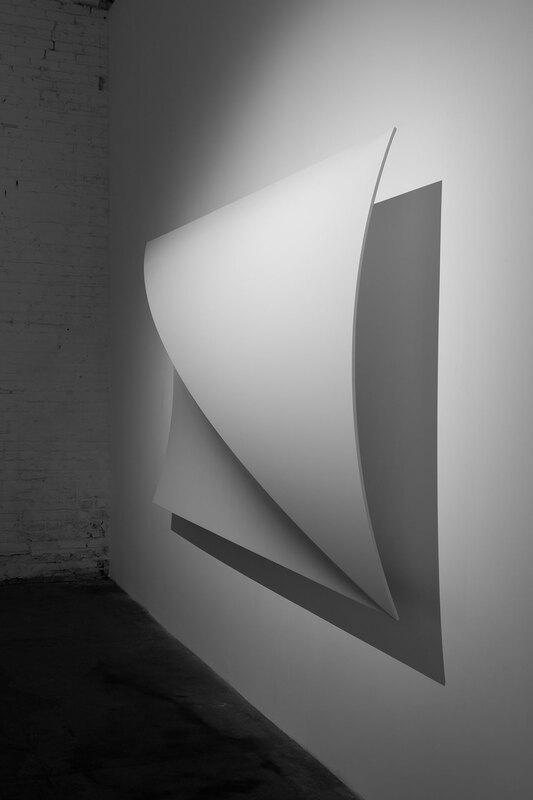 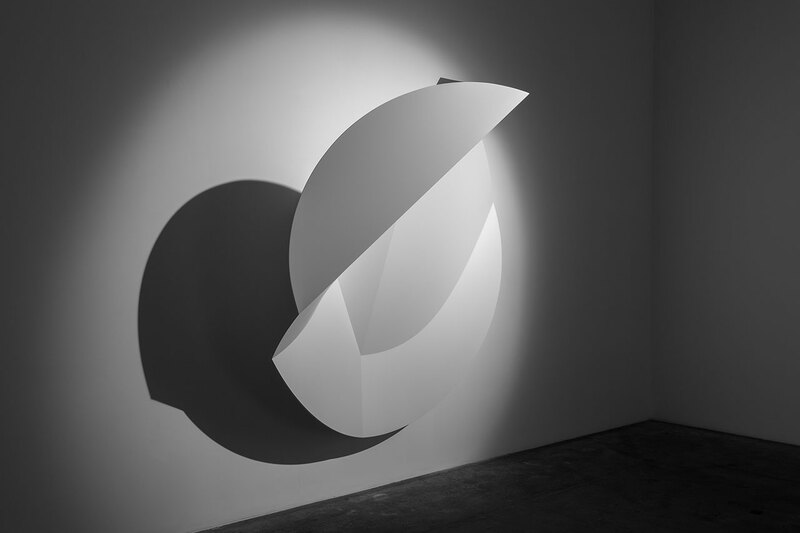 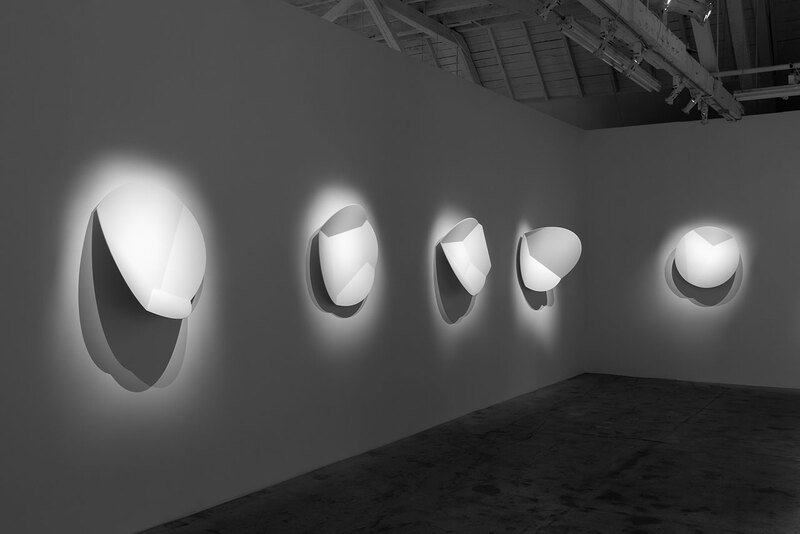 Through a sculptural series of pure-white, precisely-illuminated geometrical forms, visitors are exposed to what the artist calls “the subtlety of light across a surface” and how our spatial perception both depends on and is manipulated by the interaction of light and matter. 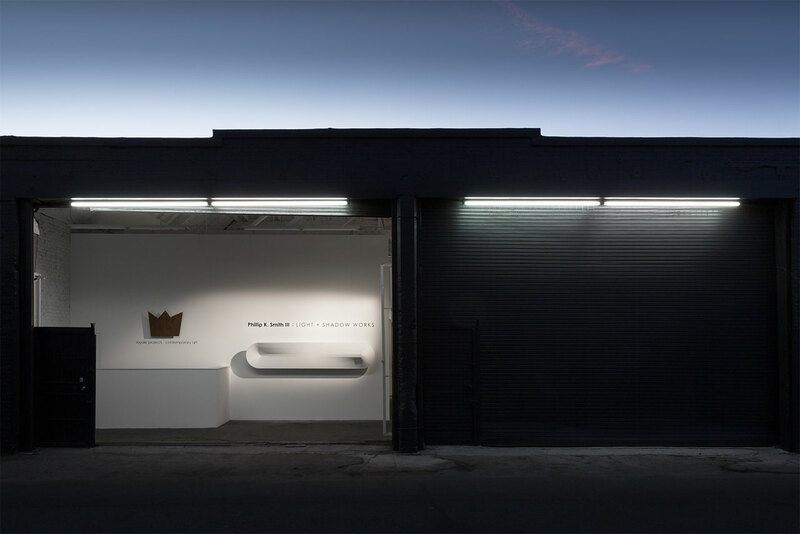 Eschewing more intricate techniques such as the LED colour-changing lighting he used in his previous work —as seen for example in Lucid Stead (2013), a “see-through” mirror-clad cabin installed in the middle of Joshua Tree desert in California- Smith III now employs an even more minimalist approach. 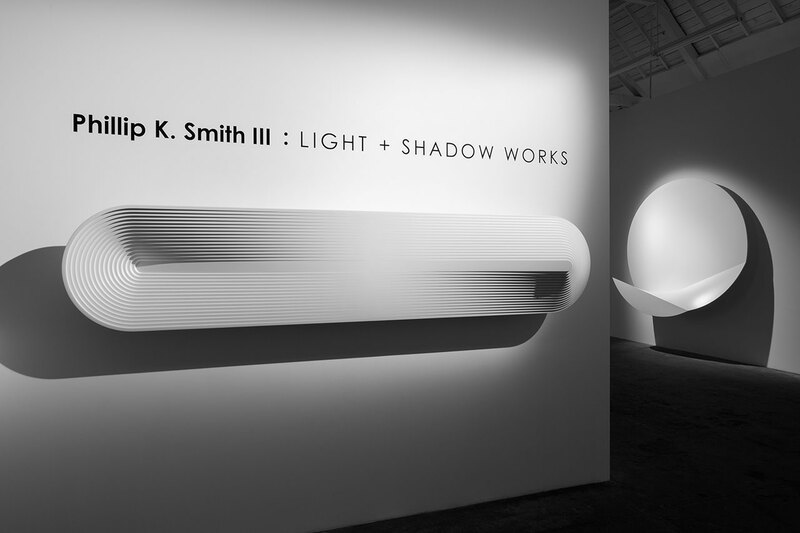 He creates carbon-fibre 3D forms, paints them matte white, and lights them by one or more stationary light-sources. 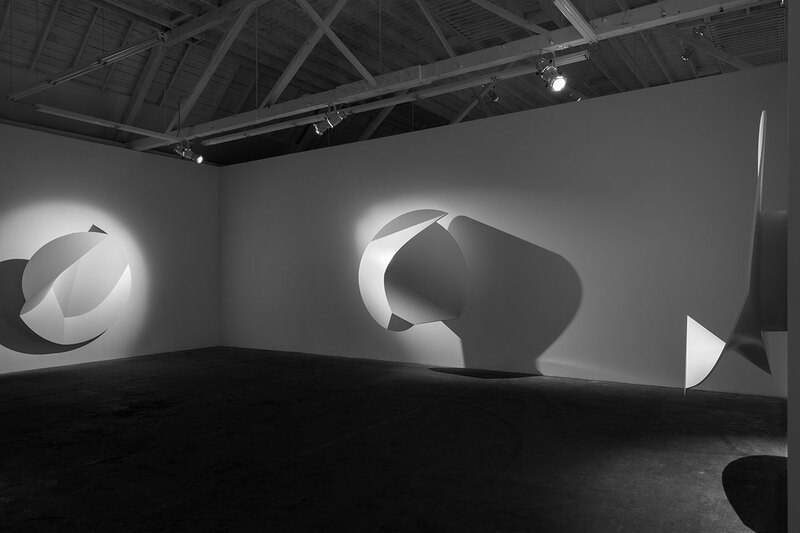 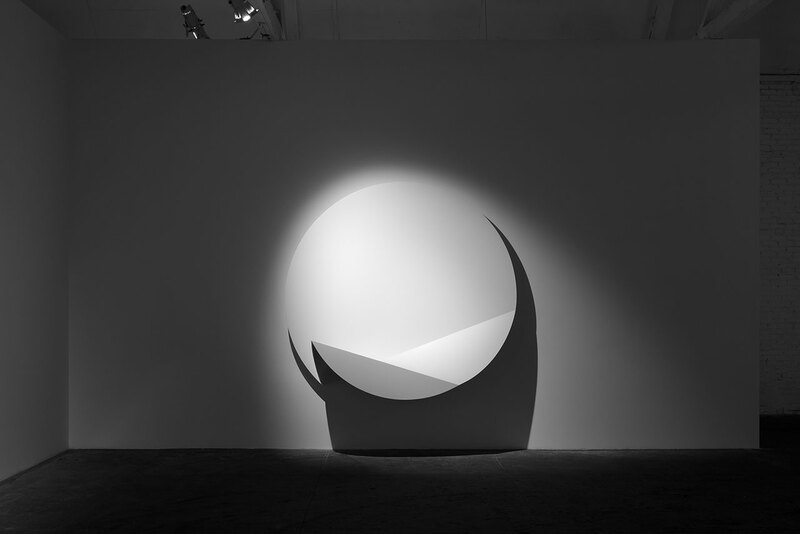 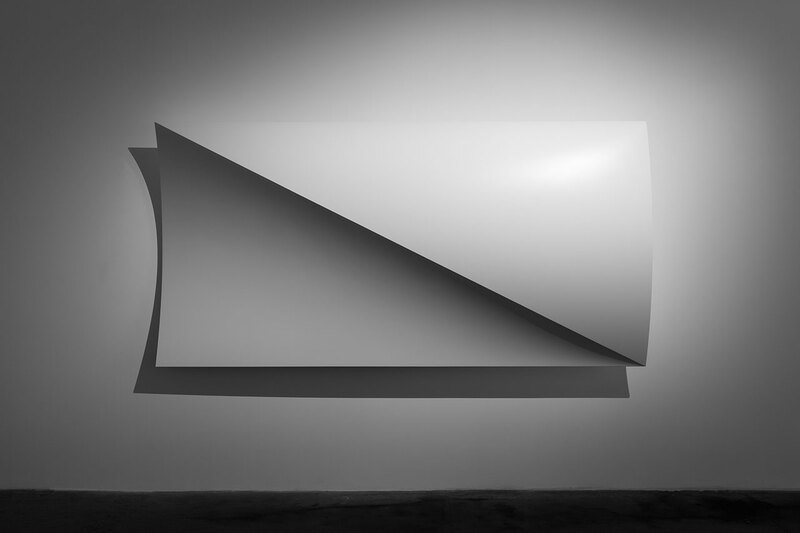 In this way, the artist attempts to present “light in its most reduced state” and allow “the brain to exist in blurred states”: as the visitor changes his or her point of view, light and shadow encroach upon one another while the forms that they see change shape between a two- and a three-dimensional state, as if they expanding and contracting, unfolding and retracting. 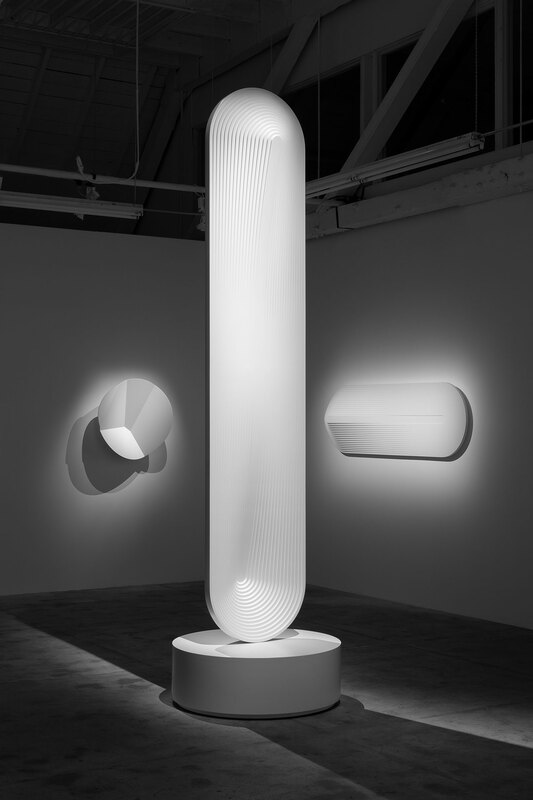 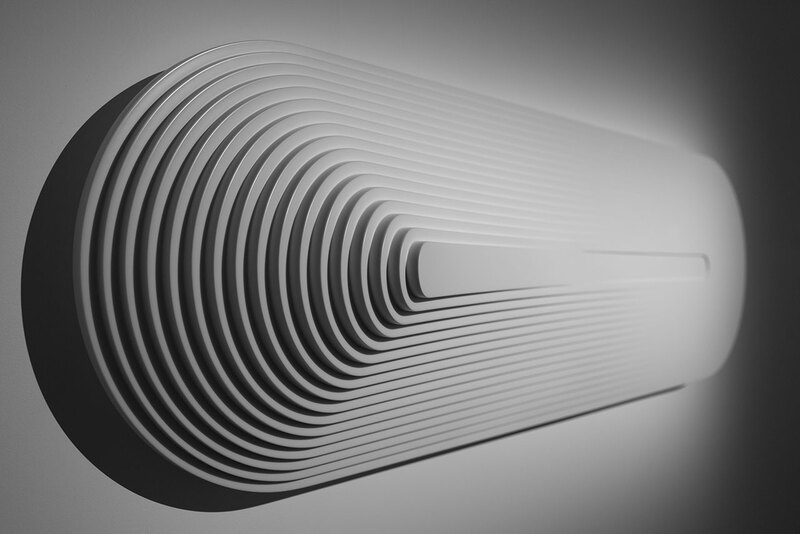 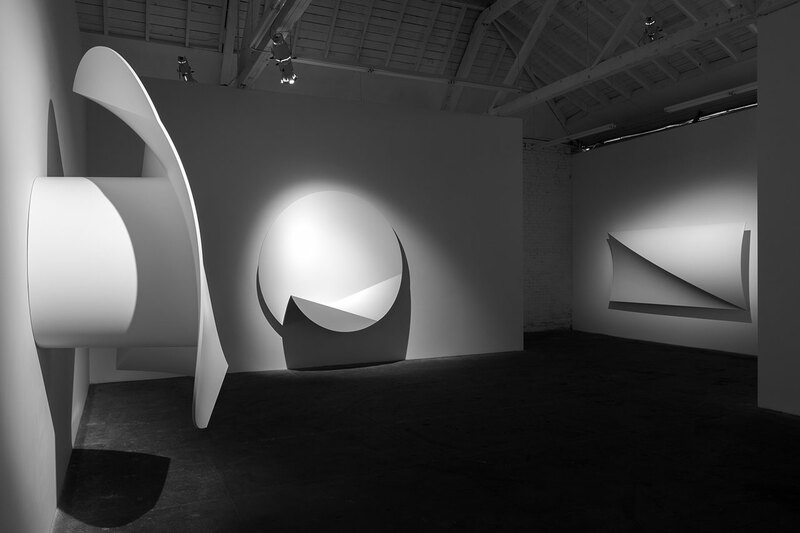 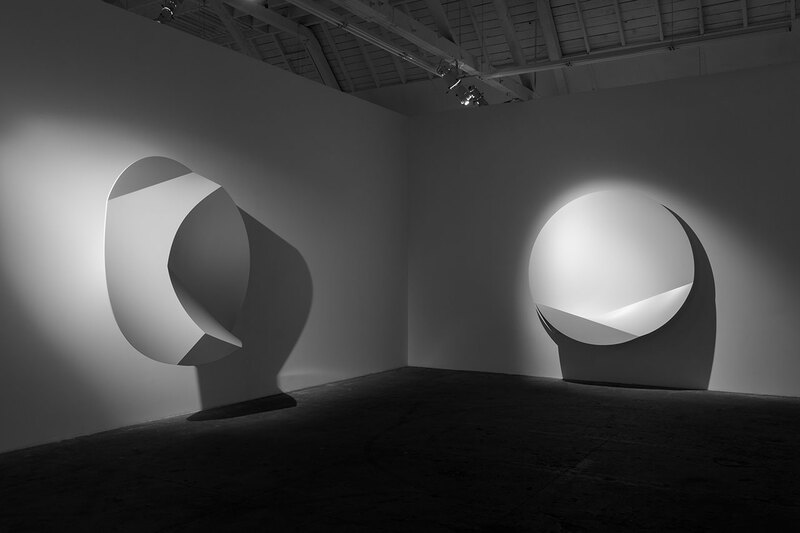 The larger of these forms is a composition of 2.4-meter-wide hovering disks named “Complex Surface: Discs 1-3” exhibited at the gallery’s front salon, where the disks appear as curvaceous, bent surfaces when viewed from the side. 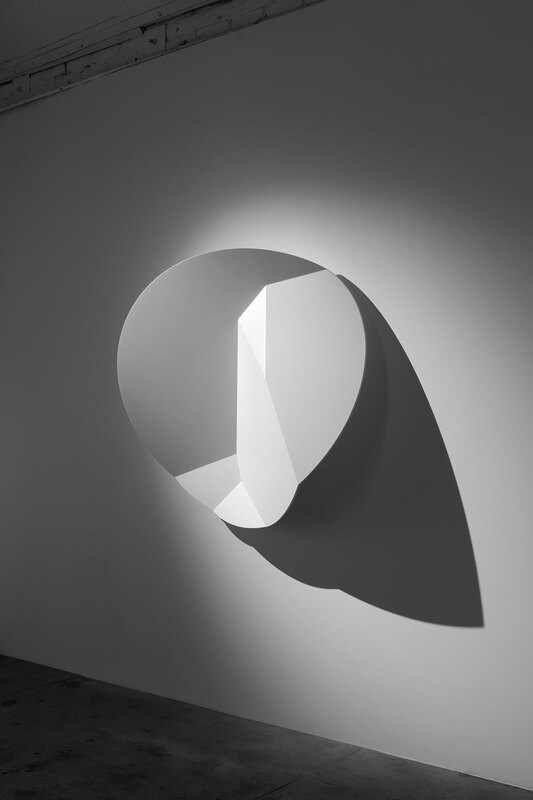 Other rectangular or elongated shapes can be found in the other rooms, all creating illusions that appear to be both convex and concave surfaces depending from which angle you look at them, together with ten smaller versions of the aforementioned “Complex Surface” discs from the “Faceted Discs” series —itself an ongoing project of 100 unique pieces which the artist has pledged to create over a decade, at a rate of ten per year. 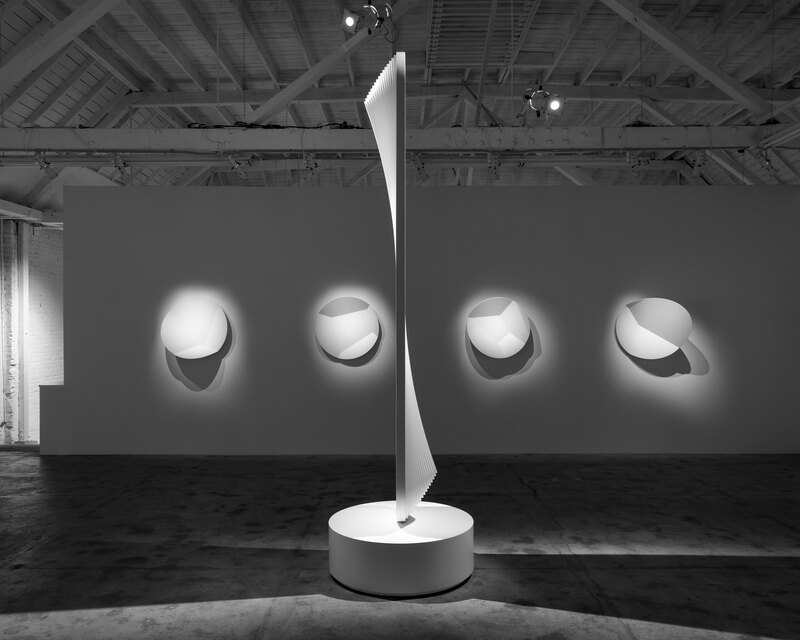 These glowing sculptures, the only source of illumination in the gallery, create an almost mystical ambience, as they transform the space into a shrine of light and shadow, a sacred space of perceptual contemplation, which is exactly what the visitors are invited to do as they move around the exhibits taking in their ever-shifting forms.